Every skill can be improved. Those who claim they know everything are usually the ones who fall far behind from modest hard workers. Soccer isn’t an exception, so it’s always a good idea to explore some new tactics in order to achieve continuous improvement. Speaking of tactics, now we are going to explore Renegade Soccer Training, one of the most innovative soccer training program on the market. Renegade Soccer Training was founded by Coach JR, certified strength and conditioning specialist. Coach JR has invested his 20+ years long coaching experience into Renegade Soccer Training programs. His programs are developed to help players take their game to the next level by training smart and hard, even on their days off. Coach JR explains what is needed for rapid progress in terms of moves, dribbling, fitness, and ball control. 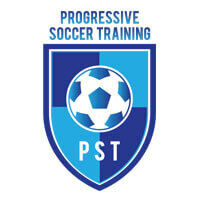 Find out more about this soccer training program in our detailed Renegade Soccer Training review. Renegade Soccer Training is primarily created for players, but it can also be of great help to all coaches who want to improve the performance of their whole team. Moreover, if you’re a loving parent whose child has an interest in soccer and strives to become better with each training session, Renegade Soccer Training is an excellent choice for you as well. Every soccer player who dreams of becoming the next Ronaldo or Messi can learn a lot from the Renegade Soccer Training program. This is a program designed to improve both strength and skills. Coach JR teaches us that both brains and muscles are important in the field. That’s why Renegade Soccer Training program features excellent drills and highly efficient techniques for improving both your moves and your tactics. Renegade Soccer Training sessions give you the opportunity to turn your days off into the most important part of your training routine. Videos of superb drills can help you get in better shape and work on your strength and endurance. Moreover, Coach JR provides some of the best tricks that can help you with your first touch and ball control. Coach JR introduces the so-called Ball Control Pyramid, which is a four-step soccer mastery process that helps each player make extraordinary progress. Renegade Soccer Training works on all four crucial levels of the Pyramid and provides each player with a premium training process. It improves the very foundation of the Ball Control Pyramid, which is rhythm and coordination. After the foundation is established, Renegade Soccer Training helps players upgrade their skills and focus on precision, which is extremely important whether you’re a defender, midfielder or first attacker. Afterward, you can continue to improve by working on your timing and finally reach the top of the pyramid. In addition to all those superb techniques, Renegade Soccer Training also offers an incredibly useful and very informative blog section on their website. There are interesting blog posts about how you can improve your skills and performance and also videos with tricks that can show you how to chop like Messi or dribble better. Renegade Soccer Training programs are suitable for players of all levels. All the materials are accessible via any device with an Internet connection, so you can train whenever and wherever you want. 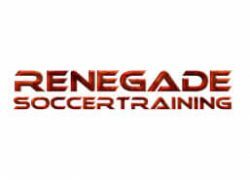 Renegade Soccer Training offers 4 excellent training plans: Next Level Dribbling, Evolution of Touch, Wall Work Warrior, and Total Control System. Each plan is created to fit the needs of players of all levels. Renegade Soccer Training programs are progressive and therefore equally suitable for complete beginners and professional players. They also come with The Progress Tracker that can help you follow your improvement. Next Level Dribbling is designed to strengthen your aggressiveness and teach you to strike like Ibrahimović or Neymar. And you can achieve that in only 30 days. Next Level Dribbling provides over 40 drills in 12 videos that can be mastered in exactly 30 days. This program can teach you how to confidently pass defenders and increase your scoring chance. With Next Level Dribbling, you can also learn how to become more dominant in the field. Evolution of Touch can make you a wizard in the field. This program can help you with ball possession and teach you how to control the game more efficiently. There are more than 35 superb drills in 10 videos that can help you with your coordination and ball control in 30 days. Evolution of Touch is a well-organized program that provides all necessary instructions and detailed coaching tips. You don’t have to guess a thing with Evolution of Touch; everything is well-explained in order to help you become a more effective player. Wall Work Warrior is created to help you trap the ball after the first touch. It offers over 40 footwork drills divided into 10 videos for your super-fast 30-day progress. Special drills from this program can teach you to receive, stop, and pass the ball more easily and smoothly. Wall Work Warrior can also help you improve your accuracy and decision making. Total Control System is a 60-day training program for both beginners and advanced players. It includes 12 different modules that combine fitness and control training. There are Beginners Track and Advanced Track. Both tracks offer 4 training options to help you improve your game. Moreover, with Total Control System, you get Next Level Dribbling, Evolution of Touch, and Wall Work Warrior as a bonus, plus 37 Uptakes program for juggling. Next Level Dribbling, Evolution of Touch, and Wall Work Warrior cost $97 while Total Control System costs $257. Renegade Soccer Training has a 30-day money back guarantee for all their products. If you take soccer seriously, then you should definitely consider using Renegade Soccer Training. This innovative soccer training method is created to help players of all levels up their game in the most efficient way. If you want to juggle better, run faster, dribble more creatively or pass more accurately, Renegade Soccer Training can help. Their programs are innovative and well-organized. Moreover, all programs can be used on any device with an Internet connection, including Smart TVs or iPhones, so you don’t need any extra equipment for your extraordinary soccer training. Renegade Soccer Training programs are designed to provide assistance in improving certain moves and techniques. You can either choose a program to strengthen your week point or opt for the package that includes all tips and tricks. Whatever you decide, you certainly won’t regret it! Completed the evolution of touch with my son this Spring. No question it has improved his ball skills and is a complement to increasing his stamina. The drills become a little repetitive towards the end, but overall is a great way to have a structured, well laid out plan to become more comfortable with improving foot skills. tl;dr, TCS is a great program but not if you are a total beginner. I’ve been a soccer fan forever, but life had other plans for me so I never got to play it professionally. I wanted to give my boy a better chance than I had and TCS for beginners seemed like an awesome program. And it is, but it is not everything I hoped for. My boy lost motivation more than once because he could not follow it as successfully as he wanted. I really think it is not the best choice for absolute beginners and children. Got NLD for my son, who has never been too good with the ball and sometimes got teased by other boys, which broke my heart, to be honest. It really worked wonders for his confidence and I think he’s actually starting to love the game. Next Level Dribbling – great advice that I didn’t get anywhere else, but like I thought, you can’t expect a miracle to happen in just a month, takes much more practice to really implement the tips and improve your game. Great system, at least for me. It’s like a competition, but you’re competing with yourself, which really is the most difficult thing ever. I’ve finished Evolution of touch and now starting Next level dribbling. Wish me luck! I bought it for my son and he’s really happy with it. Keeps asking for a new one since he has completed Wall Work Warrior. And he has improved so much, he’s the best in the team now! Cool home training, I must say. It’s not enough ofc, you need some real game to feel the excitement and the adrenaline and find out how you react in a real dribbling situation, but really good practice, I can’t complain. It’s alright, but I don’t see my son improving as miraculously fast as you say. Those 30 days aren’t enough for him, definitely. Plus, I think your program is a bit too intensive for U9 boys, no matter what you say.